Semana Santa, the Holy Week in Spain… AKA Spring Break for NYU Students studying abroad in Madrid. I’m on my way over to meet up with Jay and Emilio at the Generator Hostel in Paris. My first encounter with the city was…to say the least… frustrating. The metro was too confusing to figure out, and I was having issues with my bank account back home. People also warned me of the false stereotype that the French are very rude. I assumed everyone was unfriendly. In reality, the French are very nice and they will welcome any of your questions about things to do in Paris. All it takes is an honest attempt to try and speak their language with them. Imagine if someone in the States went up to you speaking a random language acting like you owe them your assistance? I didn’t have any patience to appreciate the river near our Hostel because of my frustration. Jay texted me, but I snapped and said that I hated this place. 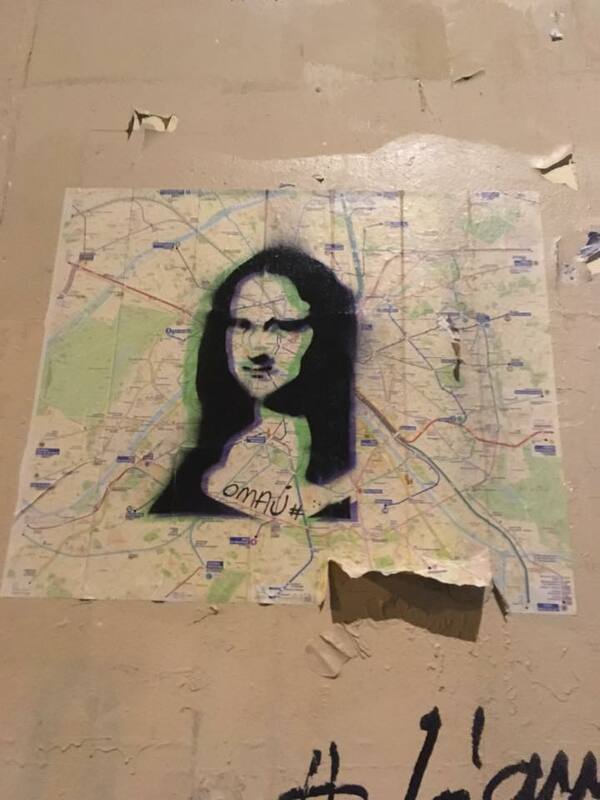 I had no idea Paris would become one of my favorite cities in Europe. We spent last night sitting next to the river near our Hostel talking about our recent travels. 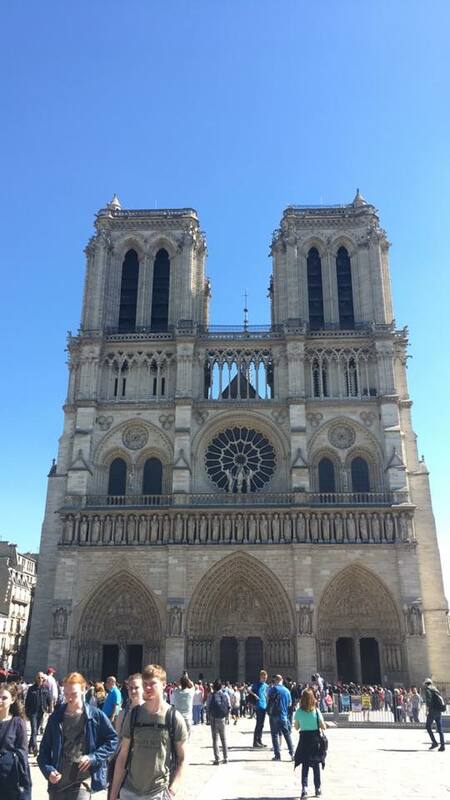 The next morning, we made plans to check out the Notre Dame cathedral located on a small island in the middle of Paris. 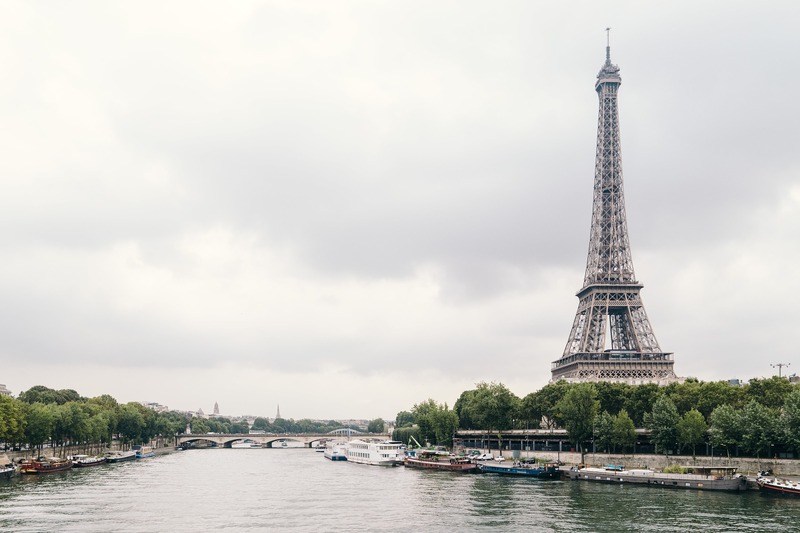 The island’s location made it easier to explore other things to do in Paris. From the outside, we marveled at the architecture and decided to go inside for a free walk around. Our chatter came to a halt, and we took our own time to remain in silence amongst the lit candles. The solitude felt graceful, and around us people were closing their eyes in prayer. It dawned on me that today was Palm Sunday. After our visit to the Notre Dame, we walked all the way over to the Eiffel Tower. 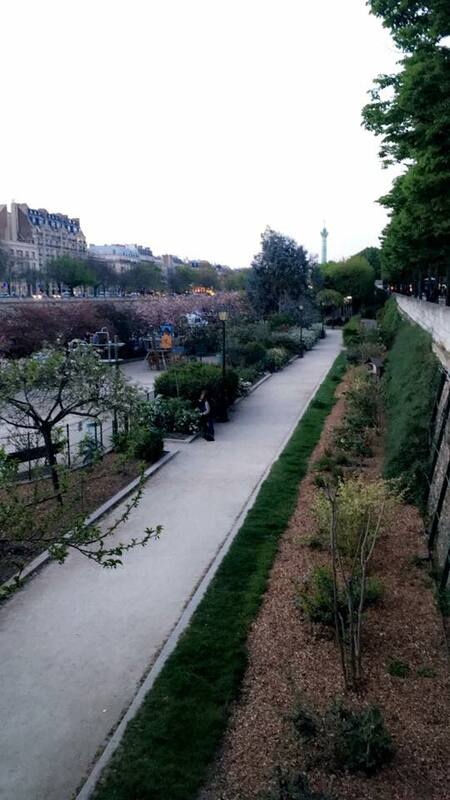 Along the way, we stopped by nearby parks and pleasant Paris gardens. This is a city with stunning architecture. The warm spring sun brought out a peaceful vibe into the city. It’s incredibly sad to think that in the recent year, Paris was a target for a large number of riots and terrorist attacks. This type of context doesn’t mix well with the incredible aura this city gives off. My friend Troy was right when he told me the main base of the tower itself is stunning. The legs of the building stretched across a wide grass field. Picture an abundance of tourists sipping champagne as they look at the monument in awe. We all told jokes as the gleam of the tower settled in. Minus the annoying group of men who kept on harrasing us to buy champagne from them, the sunset emitted an enchanting golden ambience. “No, no, no, no, no, no, no, no….” until we made a scene and they got the message through their heads. To pass the time we played a game of truth or dare. It was mainly just to play dare, and I went around to different groups of tourists asking “yo, where can I buy some surfboards?” It was very stupid, but I was having fun with it. In the midst of it all, l still couldn’t believe I was actually in the presence of the Eifel Tower. The admiration only grew as night fell. We purchased tickets to head up to the top of the tower in order to capture a fantastic view of the entire city. Well worth the price of 7 Euros. 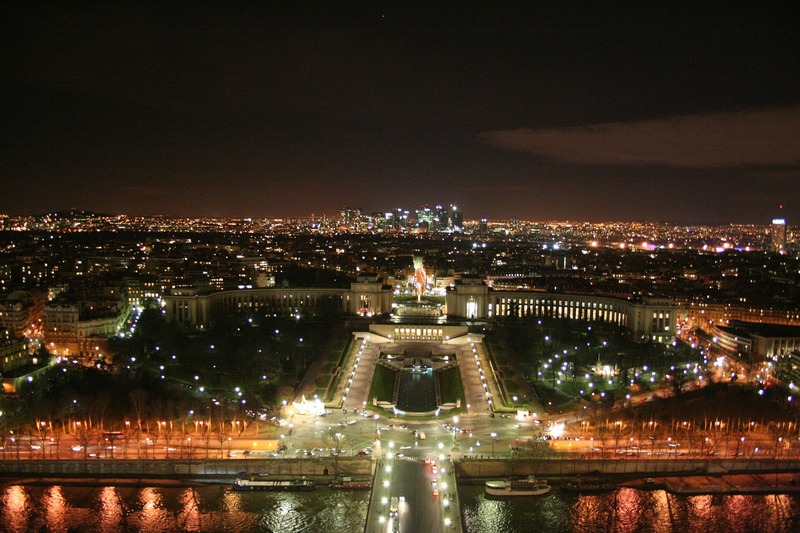 I literally just wrote about how great the Eifel Tower is at night, but this place has the best view of the city. 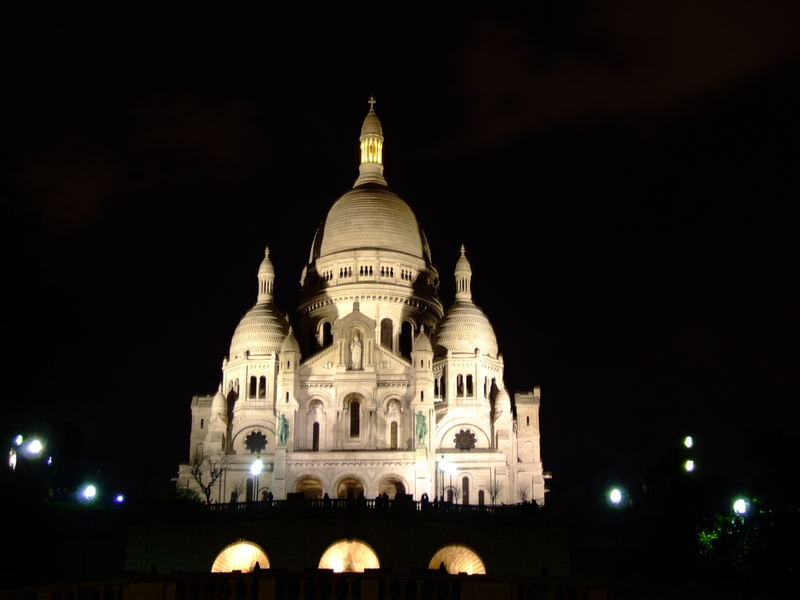 The Cathedral rests on a hill overlooking the City of Lights, and it’s simply a must see for when you try to find things to do in Paris. You’ll laugh and share incredible stories with your friends here because you feel hidden, but the French locals will yell at you to “shut up” with their thick french accent. That’s if you’re anything like me in anycase. Emilio and Jay headed off back to Amsterdam the next morning, but I still had one day left in France’s capital. An old man took their spot in my hostel dorm since they both left. He’s a photographer and travels the world showing off his photo editing software to each person he meets. Lucky enough for me, he’s a native of Paris. 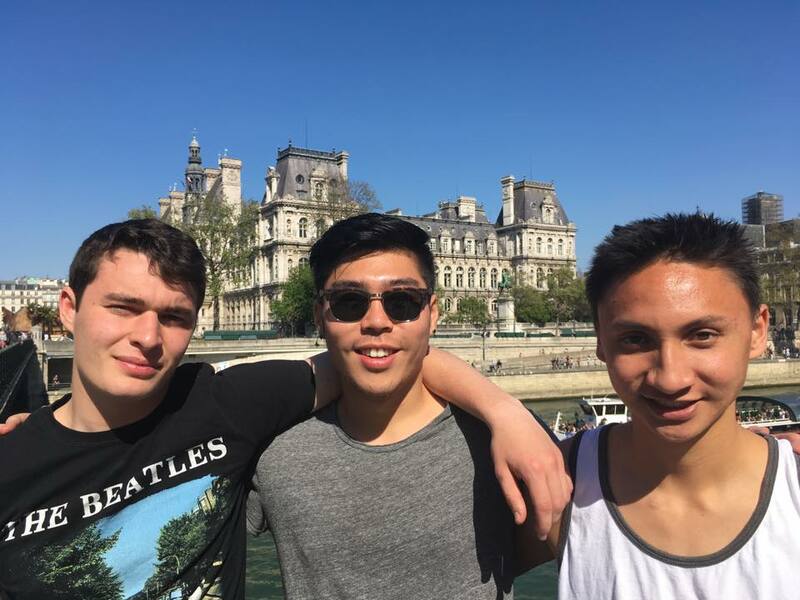 I was left in Paris with both of my friends gone and I was itching for a run. When I asked him for recomendations on a nice running trail he told me about the river Seine, the river right next to our hostel. 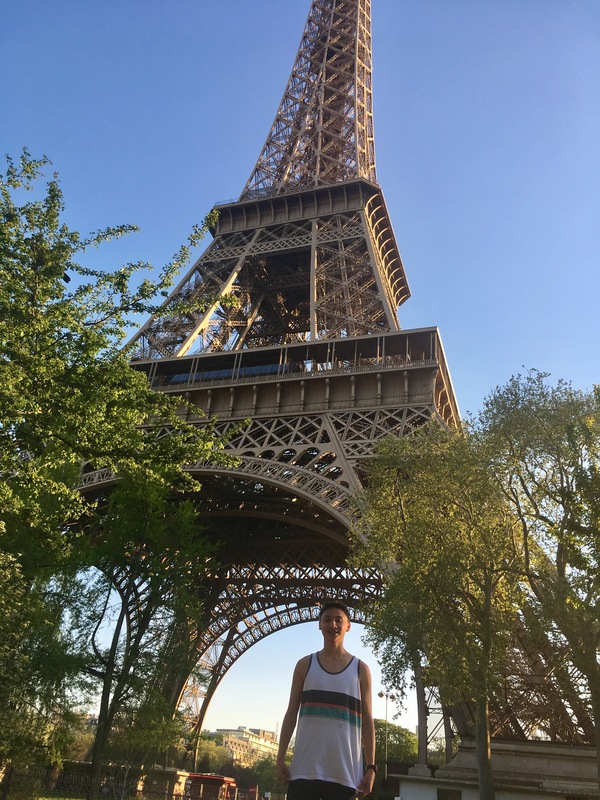 He told me that if I were to run along this place I’d be able to hit the island where Notre Dame is, and see the Eifel tower at night in the distance. In no time, I laced up my shoes and headed off onto the path as the sun gently fell. Before I left, I made sure to bring my phone with me because I knew I’d capture some amazing shots. The next morning I woke up early for no reason. It was one of those moments where you have your own built in alarm clock and rise from bed with a ton of energy. 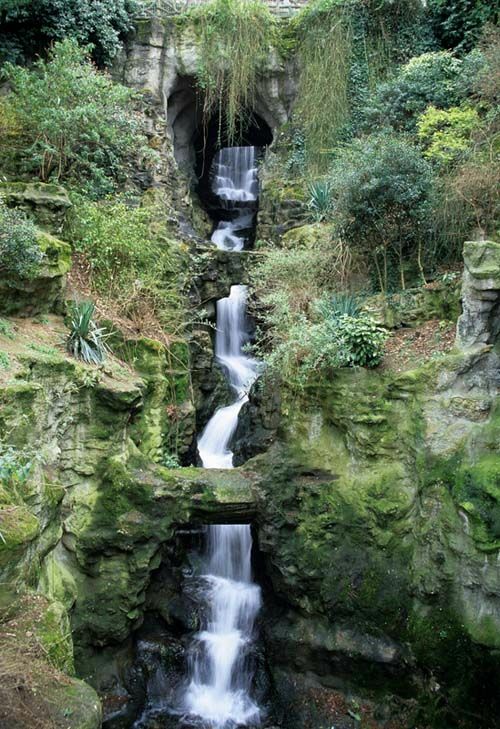 I found another loop that started from the Seine, but also a hidden waterfall at a nearby park. I was dissapointed I waited until the very end of my trip to run around this city. With all of the incredible things to do in Paris, there’s no question that I wish I would’ve ran around here more. I’m off to Barcelona now to meet back up with Emilio.